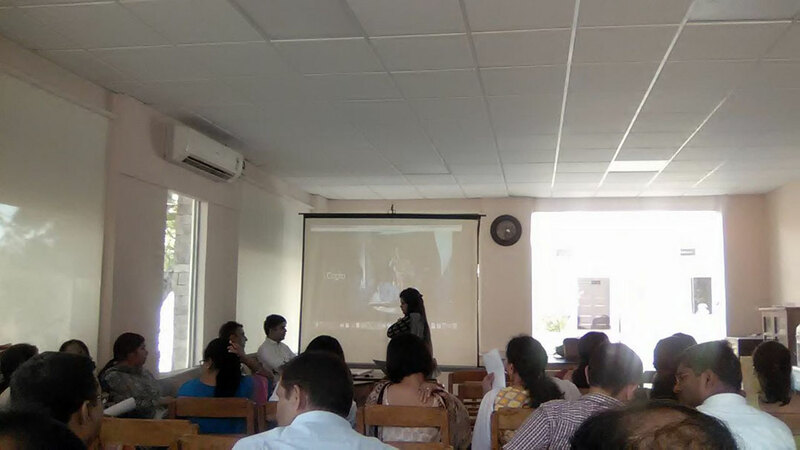 A workshop was conducted by Cogito on 4th and 5th April from 2:30 pm to 5:30 pm for the faculty. The resource persons were Mr Samarth Mason and Mr Kunal Sandhu. This teacher’s talent capability programme is a tangible part of assessment. They intend to gather information at two levels and later implement the programme in the school. Their objective is to help the teachers know about themselves better and thereby bench marking themselves with the best programme. The company thinks that it is not an instant solution but will gradually build up in 6 months to 1 year. They feel that without a teacher’s active participation the programme may not work theoretically. They said that they have created a vision and mission for the school and will assess the framework from time to time. At the outset the first stage is Design. It will create the assessment framework. The second will be Assessment which is more of an introspective and self-assessment tool while bench marking the teachers. The third stage will be Development which features feedback on the assessment initiative. It will be done through a mixture of personal and potential talent within a holistic framework for teacher’s assessment development and certification. It is presumed the faculty will be motivated to make optimum use of resources available. The entire workshop will be covered in phases which include group discussion with faculty members and HODs.